A Piper Malibu Mirage airplane struck a radio antenna while attempting to land and crashed at Aurora Airport on Wednesday, Feb. 6 at 3.35 p.m. 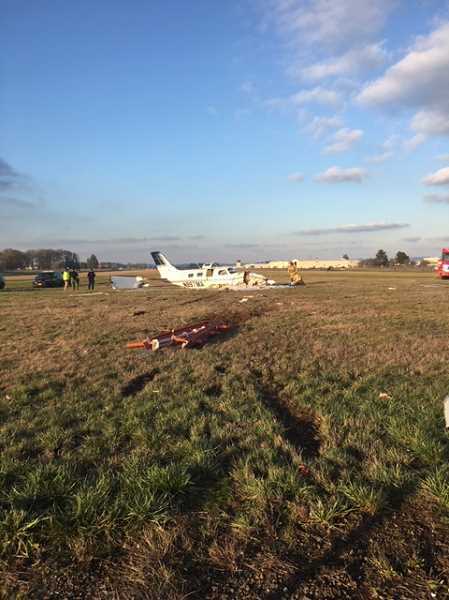 Injuries to the pilot and passenger, who both escaped, were minor, according to the Marion County Sheriff's office. As it struck the antenna, the plane fell into the ground. No further information was available this afternoon. Marion County deputies continue to investigate the crash along with the Federal Aviation Administration. The Sheriff's office will release the name of the pilot once deputies are finished investigating, but that time period is unknown at this time.